Innovation is part of Creta Farms’ DNA. Since the company’s birth until today, it is the main element that draws its course, that grows its faith in revolution and makes Creta Farms respectfully dedicated to consumers and their needs. Each year, more than 7 million euros are invested in innovation, that up until this day has given the brand a number of 20 worldwide patents. Creta Farms 0-3% is launched in 1999, the year that introduced a major change in the deli meats market. Up until then, this category has been known for its high-fat products and made many consumers think of them as ‘forbidden pleasure’. The dynamic entry of the 0-3% product line has shaken the whole deli meats category and marked the first step towards their guilt-free characterization. Until that moment, deli meat factories have been giving products with high levels of fat – but with Creta Farms 0-3%, the Greek market was forced to adjust to the new reality. A shining example is the change made in parizer, a product that reached the highest limit in fat (~30%) back then and now reaches a 5% maximum. Close to the first market section, the pioneering idea of Creta Farms followed in 2001: ‘En Elladi’ deli meats, the only ones with olive oil in the whole world. 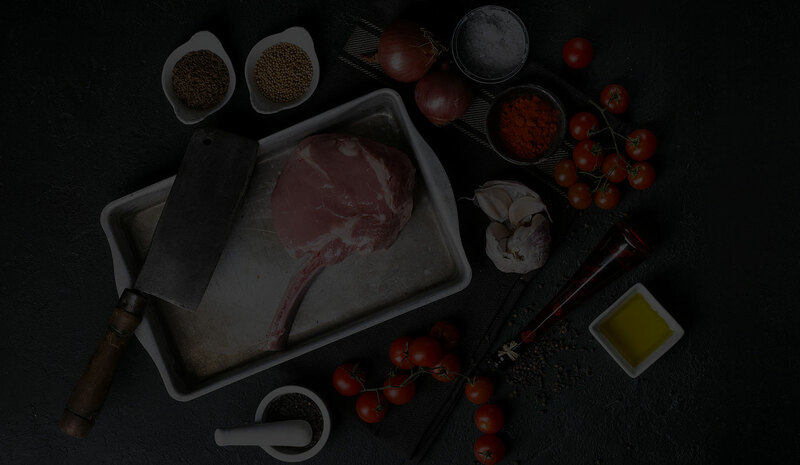 Production method is based on a world acclaimed patent, according to which meat products are rid of animal fat and olive oil in its natural form is added in them. En Elladi products underline quality and taste, because they are made of premium pieces of meat and extra virgin olive oil, while at the same time they prove that low fat products can actually excel in taste. Another highlight in the Greek market takes place in 2006, when COMBI package is launched. For the first time, consumers were introduced to an innovation that combined deli meat along with cheese, in a safe double-tupper re-opening packaging. Creta Farms gave to consumers quality, speed, practicality and easy usage and storage with the Combi product line. Greece’s largest integrated producer, Creta Farms, was the first to introduce the innovation of a double pasteurization treatment on its deli meats in the year 2008. With a machine of hyberbaric technology, that uses high hydrostatic pressure, food is packaged in a natural way and remains intact and safe from alterations caused by the environment. Products keep their nutrients and taste, while freshness is preserved up until 10 days from opening. In 2011, the brand focuses on dairy products and introduces another innovation, the ‘En Elladi Mediterranean’, a product that mixes olive oil with milk. In this way, Creta Farms went from a deli meats company to a food company. Based on the En Elladi recipe, animal fat is replaced with olive oil up to 50%, giving magnificent results in taste, with less fat. The year 2011 is a landmark, since it put Creta Farms in a whole new market category for the first time. The new En Elladi deli meat series was born in 2012. Without preservatives and with less salt, it came as an answer to all of consumers’ requests. Fine pieces of turkey and chicken fillet with low fat (3%) have been chosen, with the 2% of the fat coming from the addition of extra virgin olive oil. They also have no preservatives and salt has been reduced by 40%. Being in touch with consumer’s ever-changing needs, Creta Farms moves to a world-first launch of a fresh, juicy protein snack in 2015. Answering to the demand for better eating options, the brand introduces a product that is easy to carry, has unique flavor and packaging and low fat content. Parizer, ham and turkey in an 8-pieces package provide healthy solutions with high nutritional value to our daily eating routine. Once again, in 2017, Creta Farms presents an innovation to the market, the En Elladi pork meat. In 2001 the En Elladi patent has been implied on deli meats. This time, company opens a whole new chapter in primary production of meat. It is a light product, free of odors, extremely healthy and nutritional, because its breeding is only relied on olive oil, Cretan herbs and superfoods. From stage one of production up until the last, quality is steadily exceptional. The first gyros made from Greek meat enters the market in 2018. Grill stores now have enhanced options in quality, thanks to the En Elladi innovation that makes Creta Farms gyro extremely tasty and nutritious. Consumers now know the origins of the meat, the way is it bred and that its production is 100% Greek. The difference with any other gyros is huge, because Creta Farms gyros is made of Greek meat, is safe, tasty, easy to digest, tender and pleasantly scented. The Greek market welcomes delicious pies with pastry made with extra virgin olive oil and En Elladi ingredients exclusively – deli meat, cheese, meat. In 2018, traditional En Elladi pies enter the market and offer the choice of low fat to consumers. Creta Farms pies have 0% trans fat and 30% less fat, while they come in great variety: cheese pies, chicken pie, spinach and cheese, sausage pie, multi-seeded cheese pie, mini croissants, savory croissants with ham or turkey and cream cheese. In 2018, along with Creta Farms gyros, En Elladi salads-sauces and dressings make their appearance. Another innovation of peak quality and taste takes place, since all of the products are based on the En Elladi idea and consist of less fat, thanks to the extra virgin olive oil. Consumers are now given the choice to enjoy their favorite flavors when they order their souvlaki at the grill store – and do so without guilt! Sauces and salads like russian, tyrokafteri, tzatziki, cheese salad, farm salad, deli meats salad, ketchup, mustard and mayonnaise, pork and chicken dressing, all made based on the En Elladi innovation, all taking the experience of eating to a new level.